Wholesale Trader of a wide range of products which include app power capacitor, lv capacitor qcap, mfd capacitor, phicap capacitors, power capacitor and lv capacitors qcap-l.
APP Capacitor is proven technology from more than 30 years. The combination of polypropylene film and aluminum foil makes the capacitor, more robust in varying conditions of the load. The power range varies from 5 KVAr to 100 KVAr and voltage range varies from 240V to 1000V in three phase units. 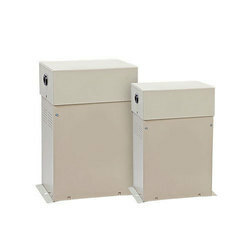 Single phase units are also available on demand. 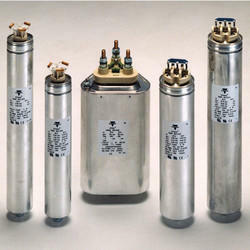 The LT-APP capacitors are utilized in industry for sustaining large load variations, THD and hazardous conditions. 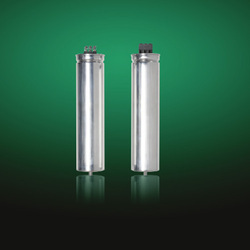 With high qualitative manufacturing process, LT-APP capacitors offer higher life expectancy. Product suitable for outdoor application, available on request. Net output power From 12.5 to 30 kvar. Voltage Range From 380 to 600 V.
Discharge Resistor Discharge from Un to 50V in 1 minute. Maximum Permissible Current 1.3 x In for continuous operation. Minimum Distance Above Unit 20mm. Earth Earth connection on the enclosure fixation. Losses Less than 0.2 Watt/kvar (dielectric only)., Less than 0.5 Watt/kvar (including discharge resistor). Temperature range -25dig C / +55dig C (class D according to IEC 60831). Tolerance On Capacitance 0% / +10%. Power Quality is a major concern to all size of business, be it industrial or commercial. It impacts energy usage costs, pollution levels and CO2 emissions, equipment failure, malfunctioning and lifetime reduction but also maintenance costs. The ABB QCap will help to improve the Power Quality of low voltage installations by addressing poor power factor issues. Reliability: customers can easily become victims of poor quality capacitors made with non-capacitor grade-film. ABB strict selection of raw material and its first class capacitor film ensure QCap a high reliability. Quality: ABB low losses design decreases capacitor temperature and increases the lifetime. The optimized thermal dissipation will prevent the premature failure which is not uncommon with many low quality capacitors. Safety: at the end of its lifetime the capacitor must disconnect itself safely. The ABB designed overpressure disconnection device guarantees a safe disconnection. Consistency: a constant quality over the time is most often a challenge for manufacturers. It‘s the reason why ABB is testing 100% of the products with criteria surpassing international standards. the result of more than a century of knowhow on electrical engineering and 70 years expertise on capacitor technologies. to make a good capacitor. 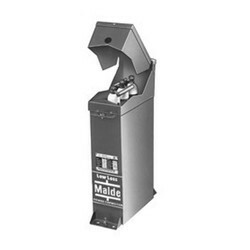 Quality controls from raw material inspection to finished products packing. Continuous improvement of the manufacturing process. Polypropylene (PP) film is the primary raw material to make dry capacitors. Its quality is one of determining factors for a dry capacitor reliability and lifetime. There are thousands of different PP grades in the market. Even the capacitor grade films vary in properties like impurities, consistent thickness and thermal behavior. ABB has vast R&D experience in PP film with more than four decades of dedication in this field. 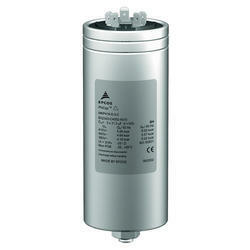 The ABB PPMZ (Zinc metalized PP film) guarantees top capacitor quality and long lifespan. 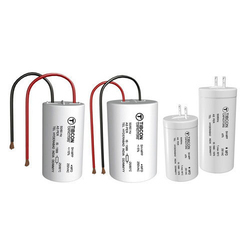 In order to cater the variegated demands of our precious clients, we are offering an excellent quality range of MFD Capacitor . 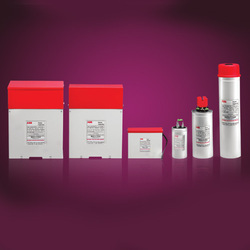 We have highly acknowledged organization engaged in presenting a remarkable range of Phicap Capacitors. Keeping the diverse requirements of customers in mind, we are instrumental in providing Power Capacitor. ABB is a leader in power and automation technologies that enable utility and industry customers to improve their performance while lowering environmental impact. The ABB Group of companies operates in around 100 countries and employs about 145,000 people. ABB delivers the full value chain in low, medium and high voltage technologies for electrical power transmission, distribution and usage. ABB has been driving development in the field of Power Quality for over 70 years and is responsible for several important developments in reactive power and filtering technologies. Today, ABB is recognized as a leader in Power Quality, partnering with its customers to define optimal solutions for their system. Applications such as motors, transformers, induction furnaces, welding and lighting installations consume both reactive and active power, resulting in reduced availability and lower quality of power. This translates into lower capacity utilization and eventually additional capital and running costs. ABB with its cutting-edge technologies and extensive experience has developed a wide range of advanced Low Voltage (LV) capacitors, which offer simple and cost effective solution to improve power quality and reduce costs. ABB’s low voltage QCap-L series capacitors consist of a number of wound elements and a dielectric made of metallized polypropylene film. These dry windings are provided with over pressure disconnector for safety. The capacitor elements are treated in vacuum to ensure optimal electrical characteristics. Each winding is encapsulated in thermo-setting resin to obtain a perfectly sealed element. 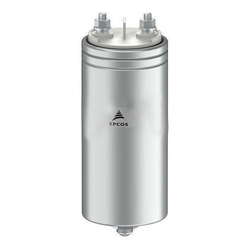 The QCap-L series LV Capacitors are available in cylindrical & box type models. When a capacitor is switched to an AC voltage, the result is a resonant circuit damped to a greater or lesser degree. The switching of capacitors can cause high inrush currents, particularly when they are switched in parallel to others already activated in the power line, and if high short-circuit powers are present on the line. Capacitor contactors with damping resistors make use of pre-switching auxiliary contacts. They close before the main contacts and pre-load the capacitor thus avoiding current peak values. This influences positively the life expectancy of the capacitor significantly in addition to the positive impact on the power quality (avoiding transients and voltage sags that otherwise may be caused by switching in capacitors). We are the prominent dealers of EPCOS which manufactures a large range of unique passive electronic components. We are looking for query mainly from Mumbai, Maharashtra. 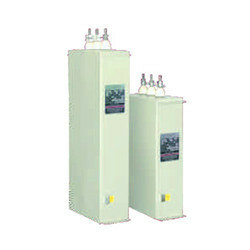 HT unit: Capacitor units are manufactured in the range of 50KVAr to 1000KVAr & in the voltage range of 1 KV to 22KV. 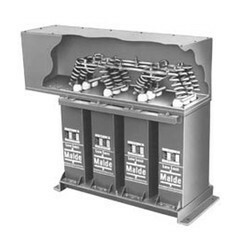 High voltage capacitor banks (3.3Kv to 132KV / 220KV) are formed by series parallel combinations of these units & connected in various formations of star / double star and delta, depending upon customer’s requirement / applications and applicable protection schemes. 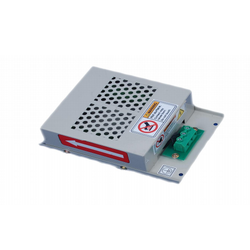 We have supplied hundreds of banks of ratings varying between 2-24 MVAr With similar capacitor units. Capacitors are type tested as per IEC / ISS (IS-13925) in CRPI (Govt of India), accredited by NABL Laboratory. 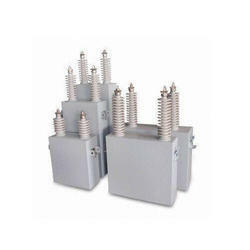 As per the needs and requirements of our clients, we are involved in providing Low tension Capacitor. 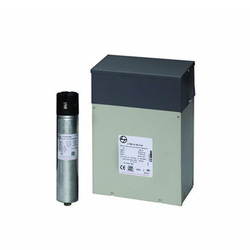 We are offering Square Cap Capacitor to our client. Please Refer To Other Important Instructions Regarding High Speed Fuse Sizing, Ventilation, Etc In The Installation Manual.